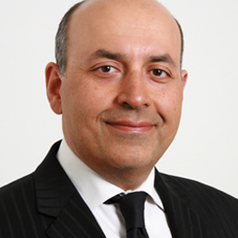 Ash Mosahebi is a Consultant Surgeon and Honorary Senior Lecturer at University College London. He qualified at Guy's & St Thomas Medical School in London and teaches cosmetic surgery to other plastic surgeons at the Royal College of Surgeons. He is the deputy editor of the Journal of Plastic, Reconstructive & Aesthetic Surgery (a British plastic surgery journal), he is also the author of a number of publications and has lectured at national conferences such as The Body Conference, to other surgeons. He regularly appears on TV, providing expert commentary and is often called upon by BAAPS as a spokesperson. He is also involved in pioneering research work on regenerating new tissues through new biomaterials and tissue engineering.